Located halfway between Auckland Airport and the city centre, Dukes Midway Lodge offers free WiFi access and free parking. 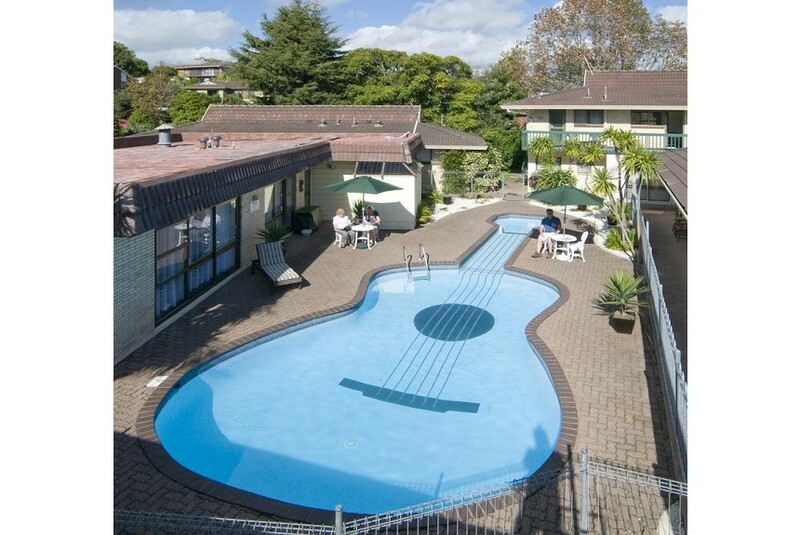 Guests can relax by the guitar-shaped swimming pool. All rooms at Dukes Midway Auckland include TV, ironing facilities and a private bathroom with a hairdryer. Most rooms have garden or pool views, and include a kitchenette with microwave and fridge. Dukes Midway Lodge is a 15-minute drive from both Auckland International Airport and the city centre. Both Mt Smart Stadium and Eden Park Stadium are within a 10 minutes’ drive away by car.